begging for decoration when it's time to stage your home. Let's talk about the tables in your home on the market. Whether it's a sofa table, coffee table, nightstand, end table, vanity top, or even a mantel, a flat surface is an opportunity to deliver that crucial "Buy this house!" message to people touring your home. Each tabletop should tell a story. The story, in essence, is how lovely it would be to live in this home. 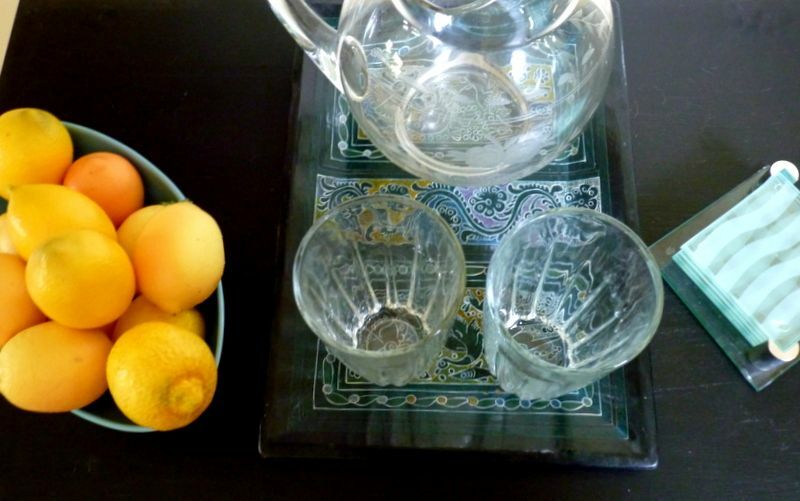 I've selected photos that demonstrate the best tabletop staging tips I know. When it's time to create a tablescape, shop your own home, including closets, garage, attic, outdoors and even the recycle bin for interesting stuff to use or upcycle. 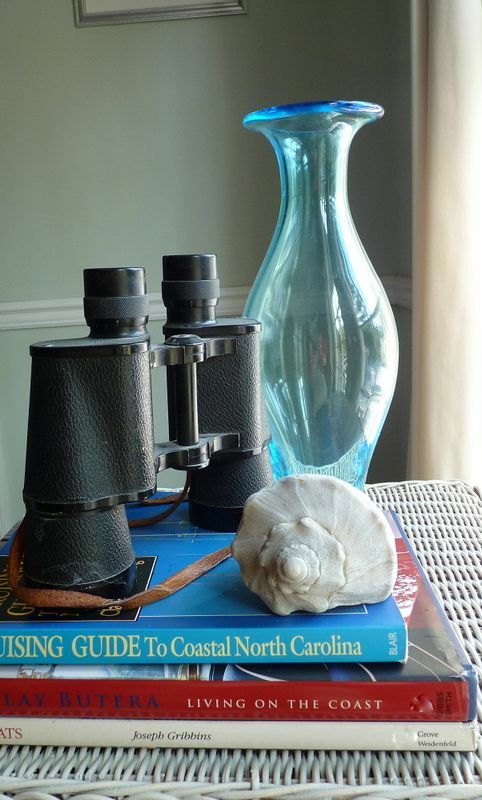 Look for items that have interesting shapes and textures. Your props should be handsome and pretty without being overly detailed or distracting. 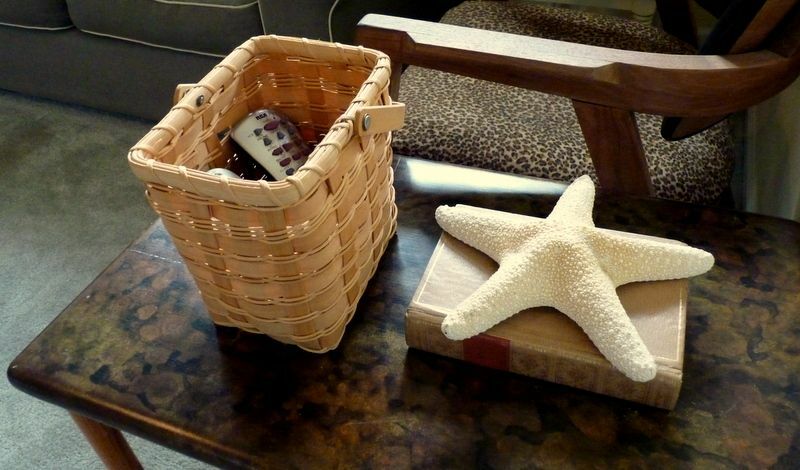 Most of us decorate our coffee tables and other surfaces at holiday time, but how about when your home is for sale? Use your skills and imagination as a DIY stager to make these surfaces speak to buyers. be real, but they need to look like they came from nature. usually the focal point. You can use a stack of books to build height. 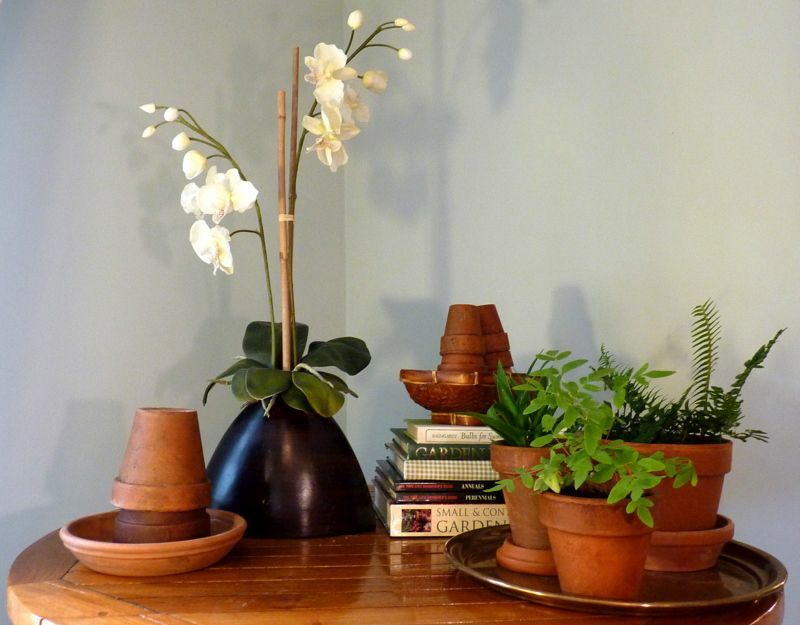 Feel free to mix real plants with silk plants, and to cover books that don't "match." Many people will look at book spines and covers to judge owners and their tastes. home's style. Avoid displaying collections of things that might be too distracting. something soft. Keep the color scheme simple, trendy, and refreshing. 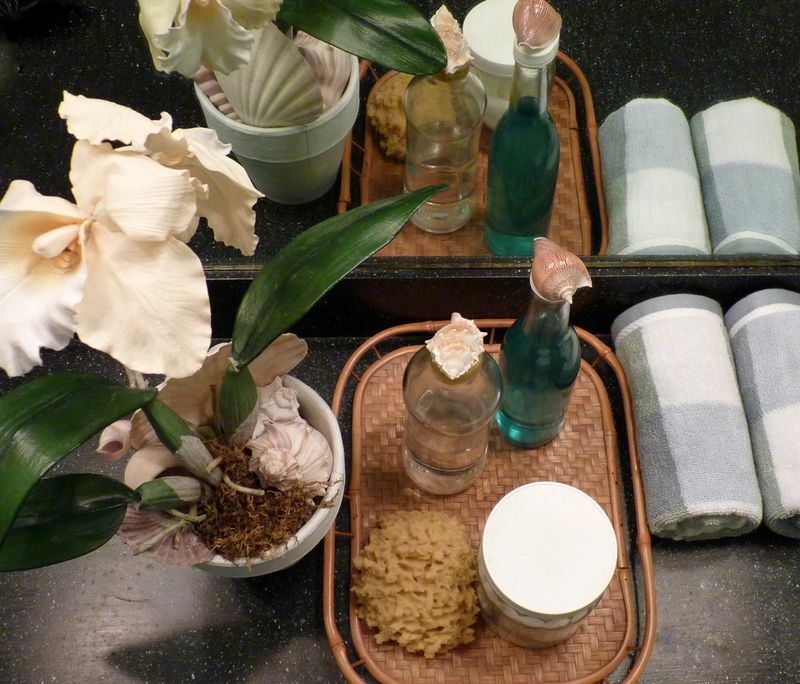 Buyers want a bathroom that feels, looks and smells clean! 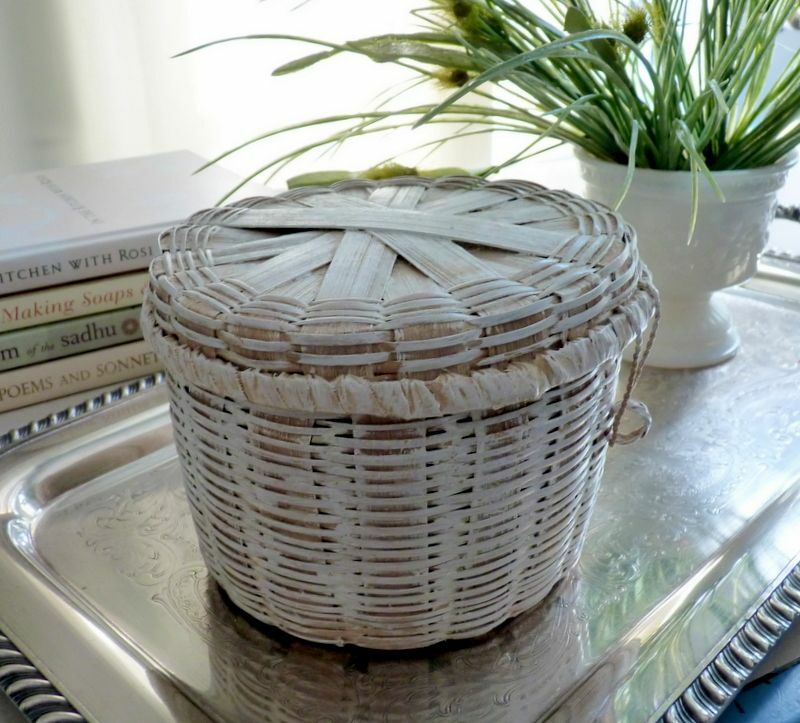 for a milk glass vase, some white books, and the shabby basket. Remember not to stage with small valuables that could be stolen. in attractive baskets or boxes. They'll be handy but less obvious. 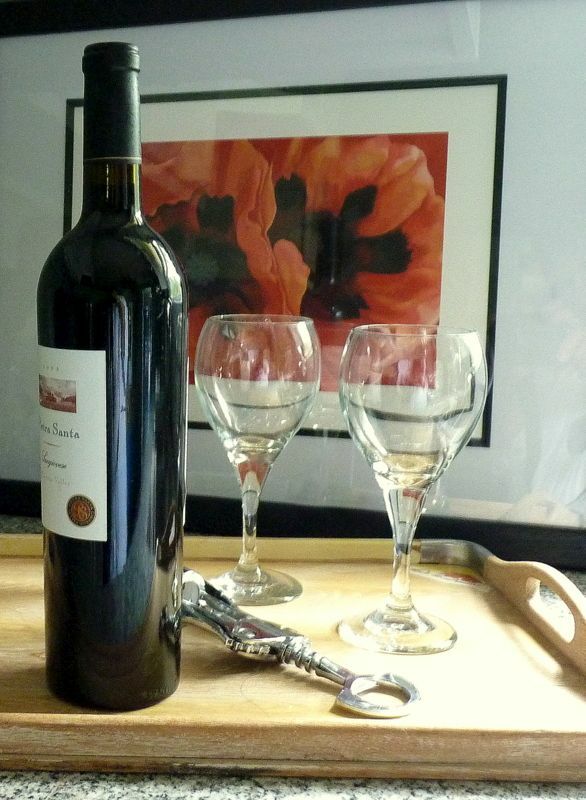 An unstaged tabletop is a missed opportunity to impress a potential buyer. I hope you'll have fun clearing off and reinventing the flat surfaces in your home when you stage it to sell! I give you other ways to deliver the right messages to buyers in my eBooks, DIY Home Staging Tips to Sell Your Home Fast and for Top Dollar, and No-Sew Curtains and Draperies to Stage Your Home. Each eBook costs you just $4.99, but stretches your home staging budget from here, all the way to a purchase offer!